The DorobekInsider has learned that that former EPA CIO Molly O’Neill will join CGI Federal as a a vice president. Expect the official announcement any time now. She starts work on Monday, Aug. 10. It is something of a coup for CGI Federal. O’Neill had been recruited by several organizations, including some state governments who were hoping that they could entice her back to government work. O’Neill is well respected for her work at EPA, winning the 2009 Federal 100 Eagle Award for her initiatives. Insiders said that O’Neill was enticed by the opportunity to create a role that will allow her to focus on thought leadership in the government IT space. Congratulations to O’Neill… and to CGI Federal. Molly A. O’Neill, confirmed by the U.S. Senate on December 8, 2006, is the EPA’s Assistant Administrator for the Office of Environmental Information (OEI) and Chief Information Officer (CIO). She is responsible for EPA’s strategic planning concerning the collection, management, and access to the Agency’s environmental information. As EPA’s CIO, she is a member of the Federal CIO Council, where she currently serves as the Co-chair of the Architecture and Infrastructure Committee. Prior to joining EPA, Ms. O’Neill was the State Director for the National Environmental Information Exchange at the Environmental Council of the States (ECOS). As State Director, she was responsible for coordinating, supporting, and leading the efforts of 50 state environmental department participants, and interfacing with U.S. EPA counterparts and other partners. 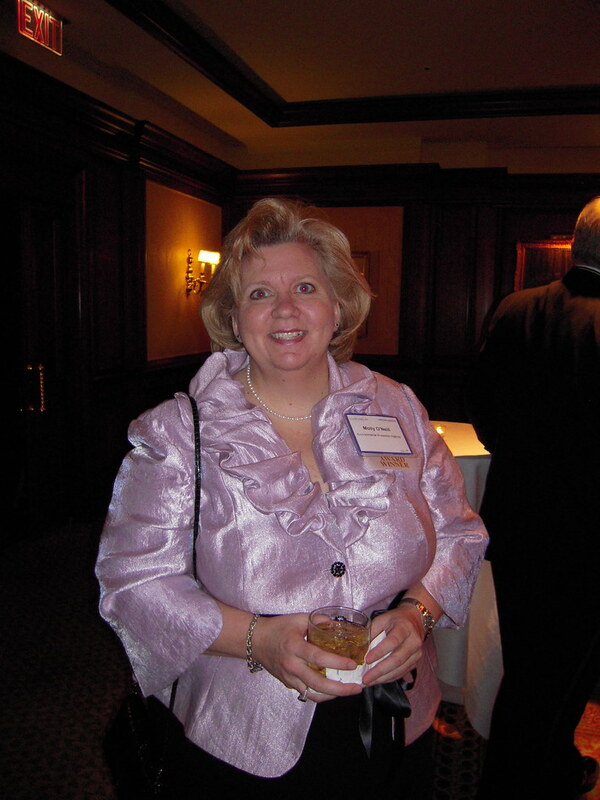 In recognition for her leadership on the Exchange Network, Ms. O’Neill received a 2004 Federal 100 award as one of the top executives influencing government technology. Prior to her work on the Exchange Network, Ms. O’Neill spent 14 years working as a management and information technology consultant in the private sector focusing on the environment, health, and safety industry. She has many years of experience working on organizational and performance assessments; performance measures; business process reengineering; and large-scale information management system implementation projects. She is a graduate of Virginia Tech. News, insights and analysis on government policy, management and technology. About and contact information for Christopher J. Dorobek and more about Dorobek Insider.